At Sparrow we strive to create a lively and caring community through the time-honored traditions of festival life. 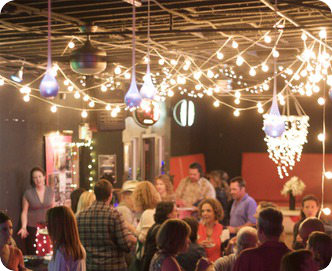 Our Harvest the Arts night is a lively fundraising event put on for a parent’s night out. Local bands fill the place with good music and cheer as our silent auction takes place. Parents come together to make this fundraiser happen and the community at large makes it a success. The money raised supports our specialty classes at Sparrow. As the days grow shorter and the nights longer, we seek to honor our individual light within all of us as the children make and decorate their own lanterns. We meet at the bay where we walk and sing in unison, delighting in the beauty of many lights merging to illuminate our path. Our youngest children take part in the ancient tradition of walking a spiral labyrinth. One candle burns within as the children carry their own candles to be lit, just as the earth sleeps through the winter months, we rest assured knowing that the path ever turns and soon the earth will awake. The Spring Festival is just as alive as spring. 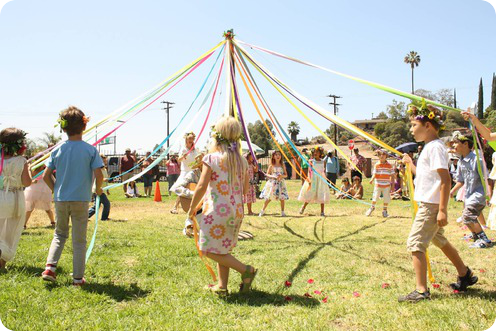 Children dance around the May Pole celebrating the return of the warmth and sunshine. The school is transformed into a bustling fair of games, crafts, music and even our own Sparrow Farmer’s Market booth. This is our most anticipated fundraiser as it reaches the community at large including visitors, relatives, friends and other Waldorf schools.